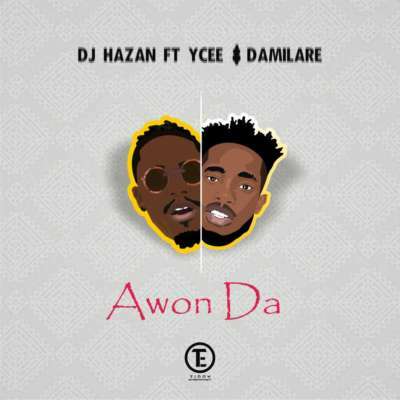 DJ Hazan – Awon Da ft. YCEE & Damilare. Following the Success after the release of a joint EP ‘Late Night Vibrations’ (LNV) from Tinny Mafia’s Bella & YCEE which consists of pure emotions, and subtle vibes, Multi Talented Nigeria indigenous disc jockey and singer DJ Hazan comes through with a collaborative host banger titled “Awon Da” which features Tinny Mafia’s YCEE and Damilare. “Awon Da” happens to be the first track and first time DJ Hazan collaborates with any of the acts under Tinny Entertainment. On the track, Multi talented; Damilare takes on the chorus while YCEE as usual, does what he knows how to do best, delivering confidently and accurately while QueBeat remains been Excellent in his distinctive production of Sounds. “Awon Da” in English simply means “where are they?” is a Street/Party song for all party and highlife music admirers. Enjoy!